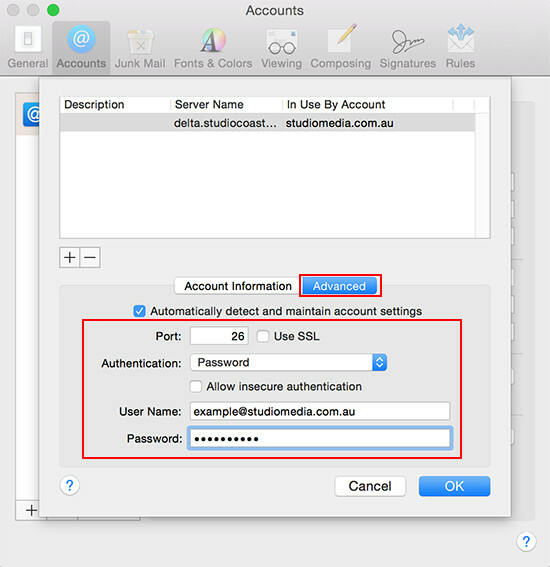 In the Account window that pops up, select the dropdown menu next to "Outgoing Mail Server (SMTP):" and then select "Edit SMTP Serer List". 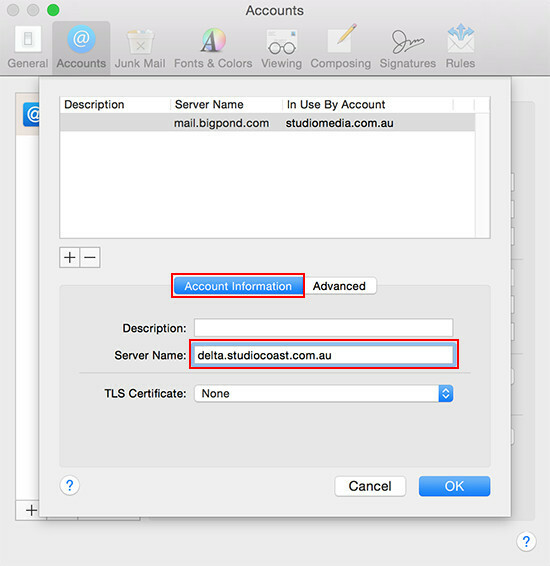 We will be replacing your Outgoing Mail Server with the same as your Incoming Mail Server, so take note of that on this Window so you can enter it in on the next Window. 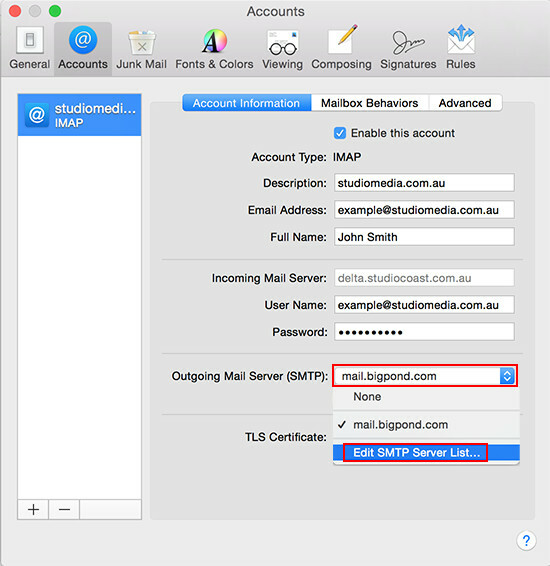 With your old outgoing mail server selected above, under the Account Information tab, replace the Server Name field with the same as your Incoming Mail Server. 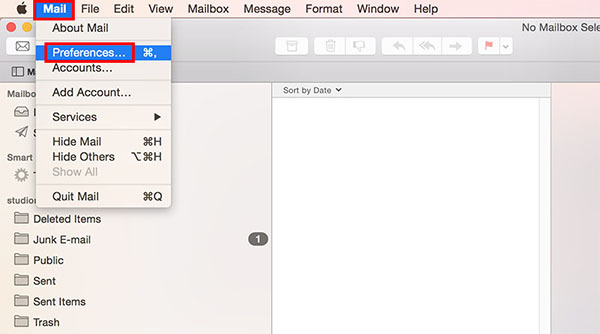 Next, select the 'Advanced' tab and fill in the following details as per below. Once completed, select OK. Completed! 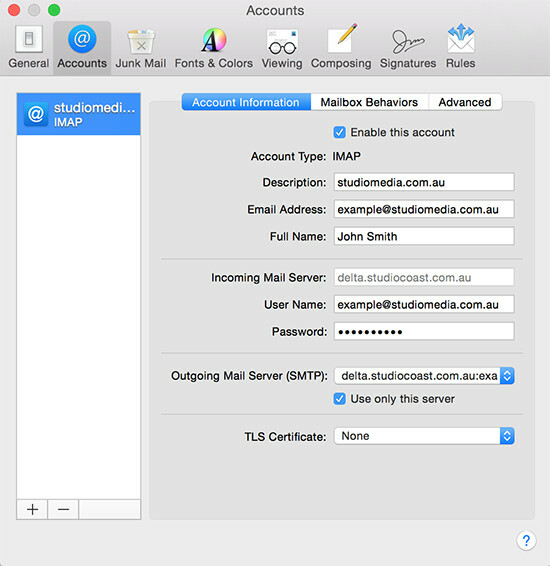 Press the x in the top right corner to leave the Account window and you can now begin to send emails through our SMTP Server.